The SSL Duality mixing console offers studios and producers the best of both World's: A highly versatile mixing console with excellent workstation DAW control with no need for machine rooms or any of the maintenance hassles of running older generations of mixing consoles. 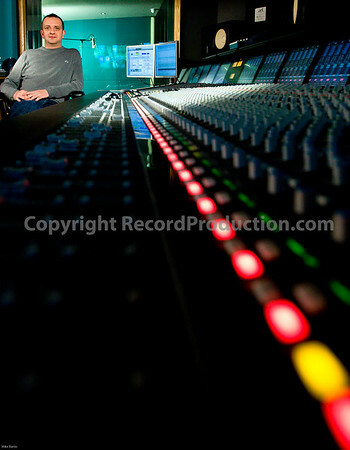 SSL Duality at Modern World Studios, UK. Duality is an analogue large format music console like no other. It is a console that carries the DNA of the SSL E, G & K Series that through the decades have defined and redefined what a music console should be. Duality takes the evolution into its next great leap forward by splicing the Digital Audio Workstation control and integration concepts of the AWS 900+ and all of the visual feedback advantages of the TFT displays from the C Series digital consoles into its analogue DNA. Duality is the best of everything, an incredible powerhouse of possibilities. It combines the sonic edge of analogue audio with ‘at a glance’ visual feedback and total DAW control right from the heart of the console… yet all that power is comfortable, familiar and inspiring to use. Duality can be expanded at any time. Unlike older analogue mixing consoles where you were stuck with the number of channels that you ordered, now you can add bays of 24 channels up to a maximum of 96 channels. This is a very good feature, as your needs change so can your Duality. Duality is the analogue console for the digital age. More information about the SSL Duality can be found here. Visit our Shop to buy your recording gear.